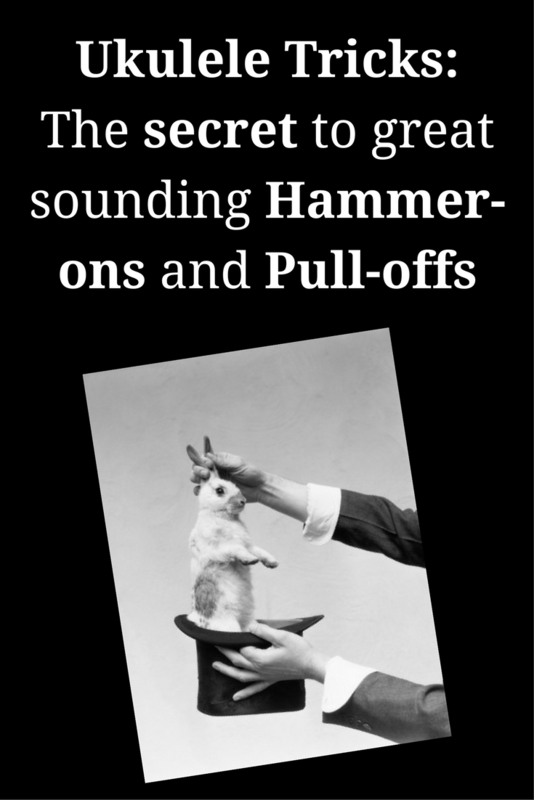 There are some tricks to great sounding hammer-ons and pull-offs. As a young player in the 80's I had trouble getting hammer-ons and pull-offs to sound loud and clear, like the record. 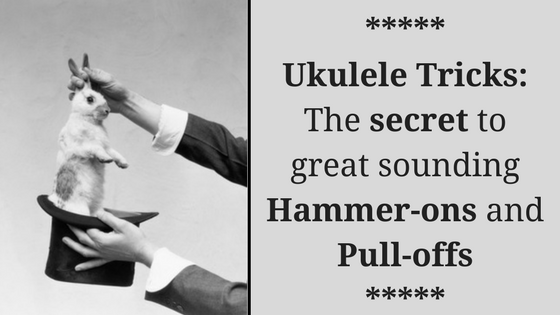 With hammer-ons you will play a note by hammering-on to the note with one of the fingers on your left hand, rather than picking it with your with your right hand. As the note you just played is still ringing, bring your third finger down hard on to the 5th fret. Bring your finger down hard enough to make the new note sound as loud and clear as the one you just picked. It is important to bring your finger down hard enough so that both note have the same volume. With pull-offs you will make a new note sound by pulling your finger off of the the previous note. 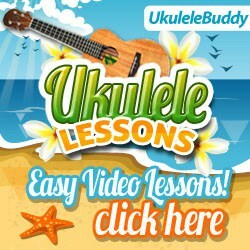 Place your first finger on the third fret, then place your third finger on the fifth fret. You should be pressing down hard enough on both frets so that a note could be played on either one. To do the pull-off, while the note is still sounding that you just played, Here's the trick: Pull your finger off with a downward motion. 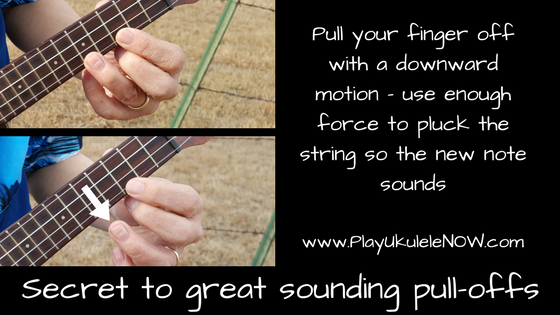 When you pull it downward, off the string, do it with enough force that you pluck the string so the new note sounds with a good volume. The new note will be the one on the 3rd fret (that you're holding down with your first finger). 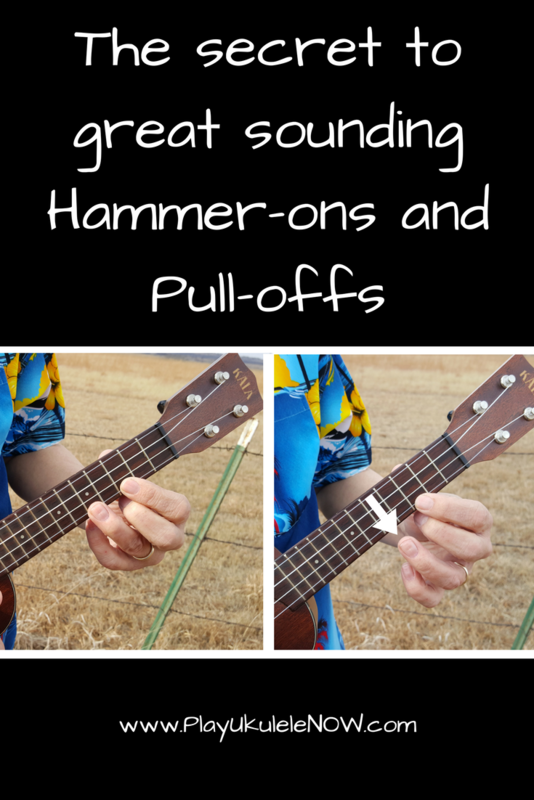 By following these instructions you should be able to play Hammer-ons and pull-offs cleanly, clearly and with a consistent volume.